For a couple of years now, the IBM Social Business Toolkit has been a great set of development resources to get partners and ISVs started with developing apps for IBM Connections. As I stated yesterday, the Connections eco system continues to grow and we want that app eco system to continue to grow. Maybe you've been thinking about joining the Appathon to win $1000. If so, then this is perfect timing for you. So if you've been thinking about submitting an app for the Appathon to win $1000, start coding today. But what's the absolutely best place to start ? 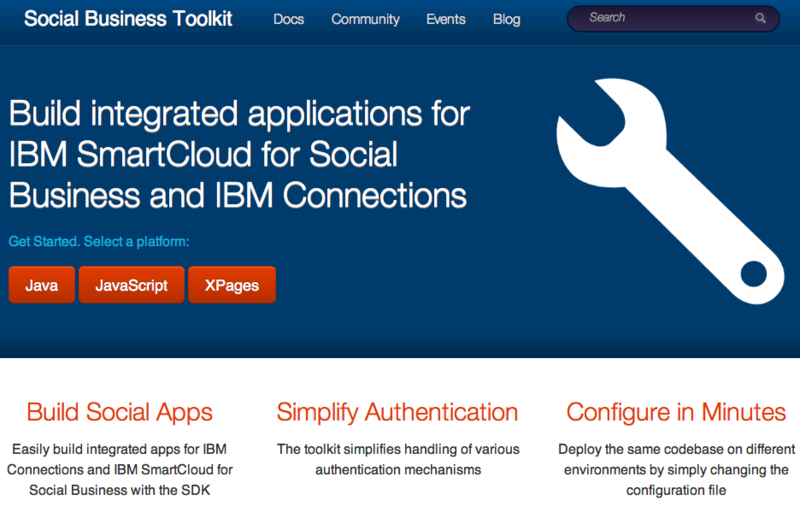 To that end, we have created a new landing page for the IBM Social Business Toolkit. The page is built using responsive web design so you can get to it from your desktop or mobile browser and have an optimized experience. Here's a quick view of how it looks. Remember, if you are going to participate in the Appathon, you have until June 23rd to submit your app!